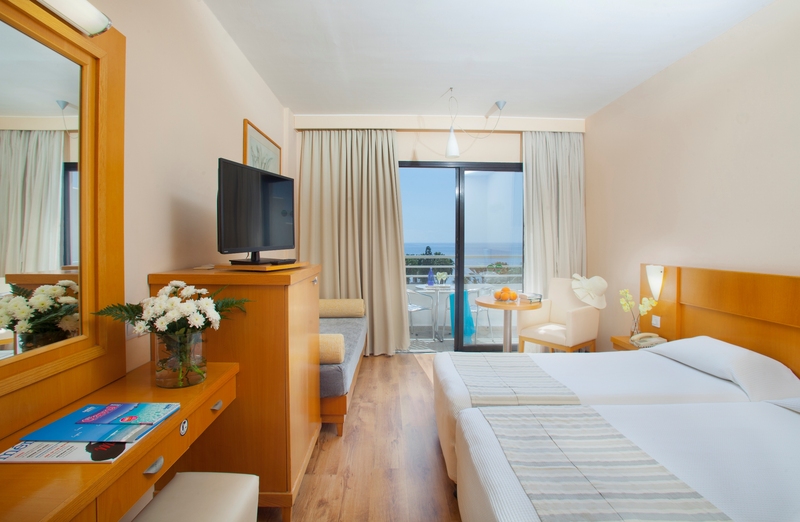 Enjoy a comfortable stay in these light and airy rooms with balcony or terrace. 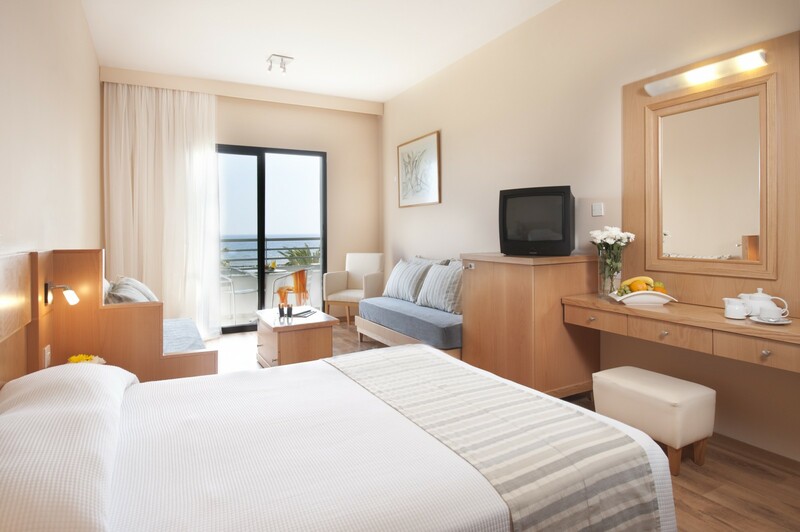 Offering either a sea view or an inland view, all our double rooms can be laid out as twin and there is space for a cot. 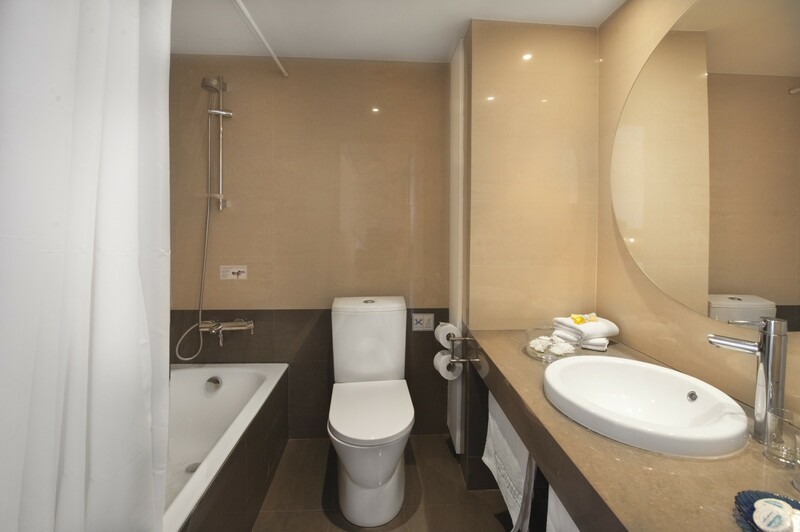 They are air-conditioned and feature very comfortable bedding, a small fridge and a private bathroom with bathtub. 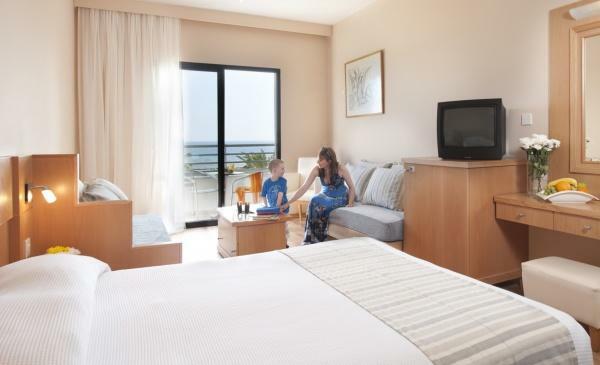 Designed to accommodate up to 4 guests, these comfortable rooms with sea view or inland view make perfect family rooms. 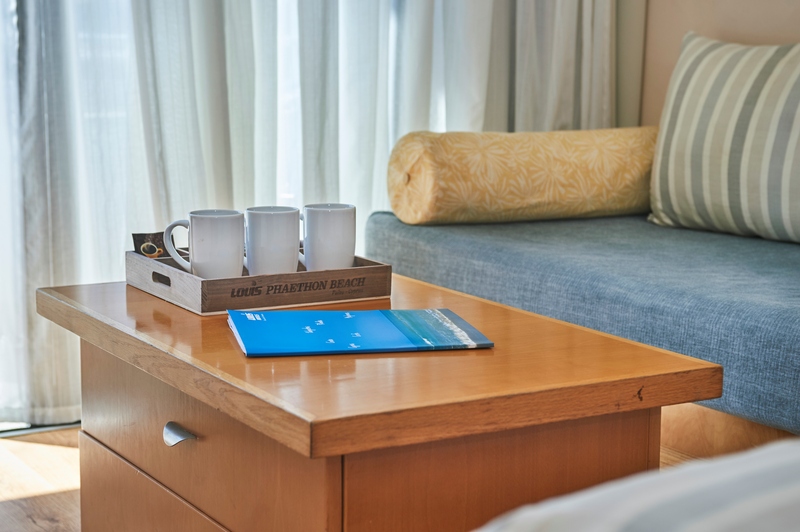 They are the same size as our double rooms but feature a different layout including 2 single sofa beds. They come with light wood furniture, pastel colours and laminate flooring that lend the rooms a bright and modern atmosphere. 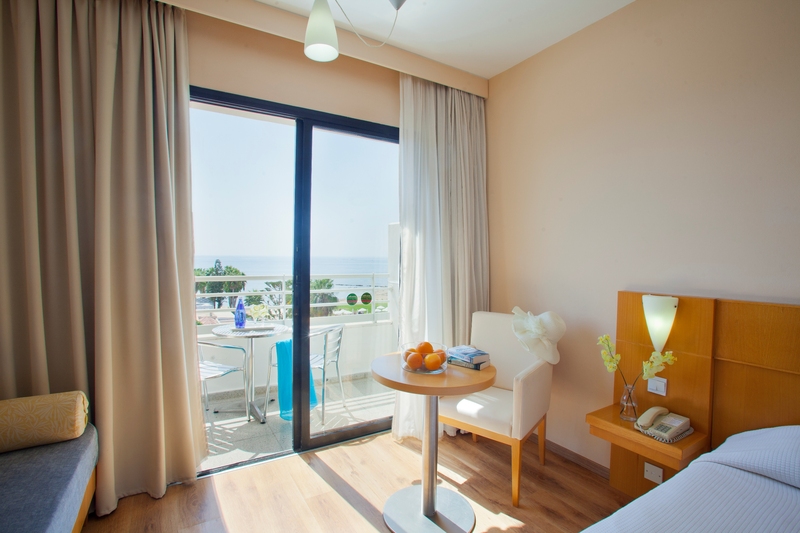 Each room has its own private balcony or terrace.